Got out to the Pack today. Fishing wasn't to good. Highlight was the oddball catch. 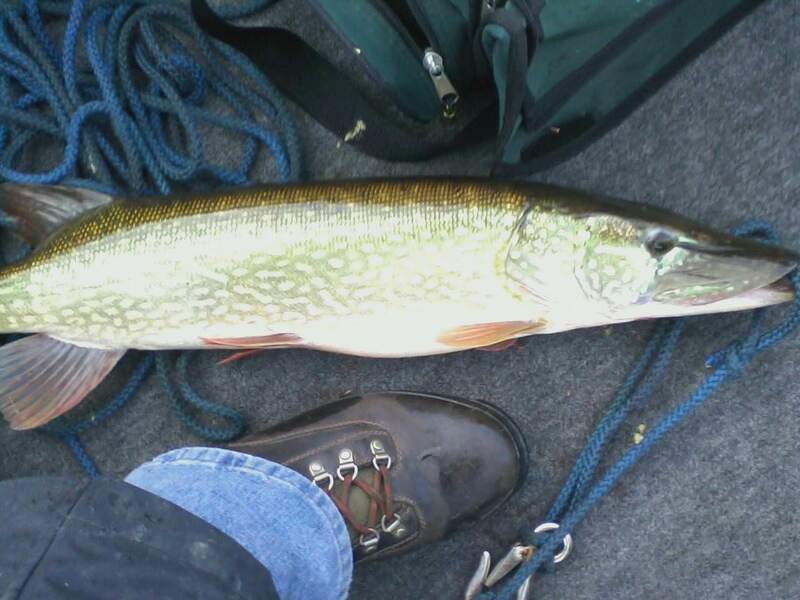 I fish the Pack a lot and rarely get a pike. Lucky day today I guess. Not sure on the length by My shoe is an 11. Lotta blood so I was in a hurry to get it back. Turns our it was my blood I was seeing. Didn't have a net handy so I tried a gill lift. Not my best idea lol. Nice northern, looks like it's been eating good! How is the water level at the pack?? Thats the third one in over 25 years. The other two were in early spring. I dont know why but from now til early spring is when most get caught. Ice does seem to be best. Water is down but did come up a little in the past two weeks. Thanks for the report PA bassman. Mr PaBassman can you please tell me how to catch bass in this lake when water temps are on the decline. 52-56 degrees. Baits,area(exact if possible), ty. Dropshotting near the second island . Crankbaits everywhere! You guys catch any decent bass in that lake?